Kansas State does not have any openings for football coaches, but that didn’t stop the school from hiring a former head coach with deep ties to the Sunflower State. K-State has signed Jerry Kill as its new associate athletic director for administration, athletic director John Currie announced Tuesday. “He is ready to move into a new chapter of his life and professional career, and his experience as a former head coach will be a terrific addition to our staff,” Currie said in a statement. Kill, 54, was born in Cheney, Kan., and coached at Pittsburg State and Emporia State in the early stages of his coaching career. At his last job, he led Minnesota to three bowl games from 2011-15. In his new role at K-State, Kill’s duties will include being the chief administrator for the Wildcat football program. Kill has suffered from epilepsy since 2005. While at Minnesota, he was hospitalized with seizures multiple times, including four times on Golden Gopher game days. 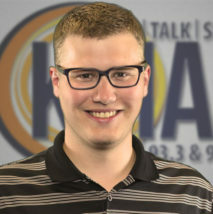 Citing health concerns, Kill announced his retirement in October of last year. Defensive coordinator Tracy Claeys took over the position on an interim basis. 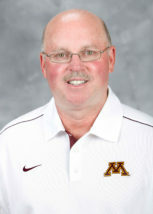 Claeys, who was born in Clay Center and graduated from K-State in 1993, was named Minnesota’s permanent head coach in November. Kill got his wish and will begin working in Manhattan this summer. Have a news tip or story idea? Contact the studio today! Follow @1350kman on Twitter · Manhattan Broadcasting Company is an equal opportunity employer. Manhattan Broadcasting does not discriminate in sale of advertising on the basis of race, gender, or ethnicity, and will not accept advertising which does so discriminate. © 2016 Manhattan Broadcasting Company.